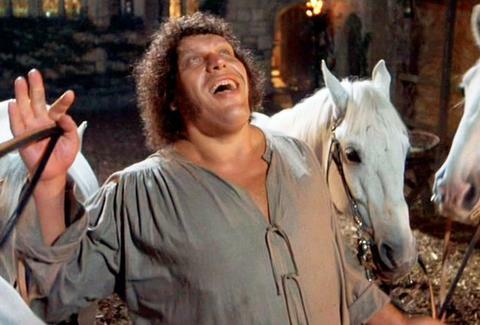 The 7-foot-4 wrestling Hall of Famer Andre the Giant is the owner of a legend that extends well outside the ring. He was hilarious in The Princess Bride. He got rides to school from Samuel Beckett. But no small part of his legend was his ability to ingest superhuman quantities of alcohol. The arsenal of stories has grown with a couple tales told by retired wrestler Gerald Brisco in an interview with the Tampa Bay Times. "Andre used to ask me to get him six bottles of Mateus wine and ice them down," Brisco told the Times. "He would drink those before we went to the ring and no one could tell." 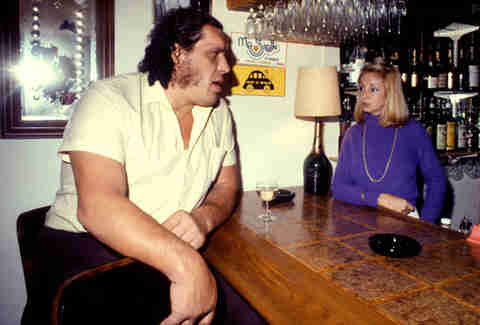 All of the stories about Andre the Giant's drinking are mind-boggling and they would be impossible to believe if it wasn't for the fact that Andre the Giant wasn't just monstrously tall, he weighed in at 520 pounds and managed to somehow not look like a lump of wet play-doh dripping over the edge of a table. Though his measurements should be taken with a grain of salt, since pro wrestling, like a good carnival barker, is prone to slight embellishments. Brisco continued, "One night in Sarasota, Andre is traveling with us. So we pull over and get two cases of tall boys. By the time we get from Sarasota to the Tahitian Inn on Dale Mabry, the two cases were bone dry. "He was one of the nicest guys but I have seen idiots in bars all over the country challenge him, and with one little shove they'd be 10 feet away." Those stories are insane for a normal person, but they aren't even the craziest drinking stories concerning one of professional wrestling's biggest stars. He admitted once on Letterman to having consumed 119 beers in a single sitting. Fellow grappler Mike Graham told a story on Legends of Wrestling that Mr. Giant once put home 156 16 oz. cans in a night. His bar tab at the hotel he stayed in for a month while shooting The Princess Bride was said to be $40,000. So, six bottles of wine before work doesn't seem that crazy in comparison. It is crazy. It's really damn crazy, but it's a three-eyed toad sitting next to a toad with 14 legs. Dustin Nelson is a News Writer with Thrillist. He's almost two feet shorter than Andre the Giant. Follow him @dlukenelson.